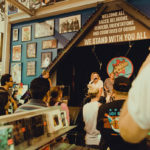 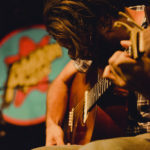 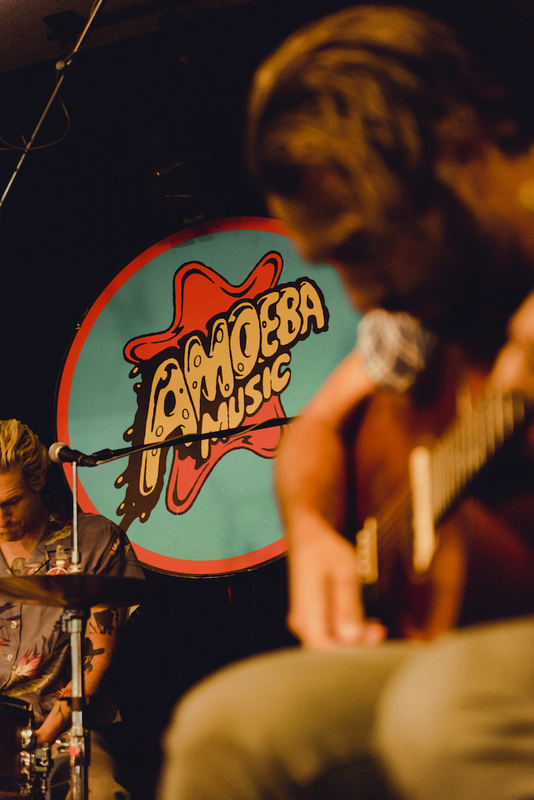 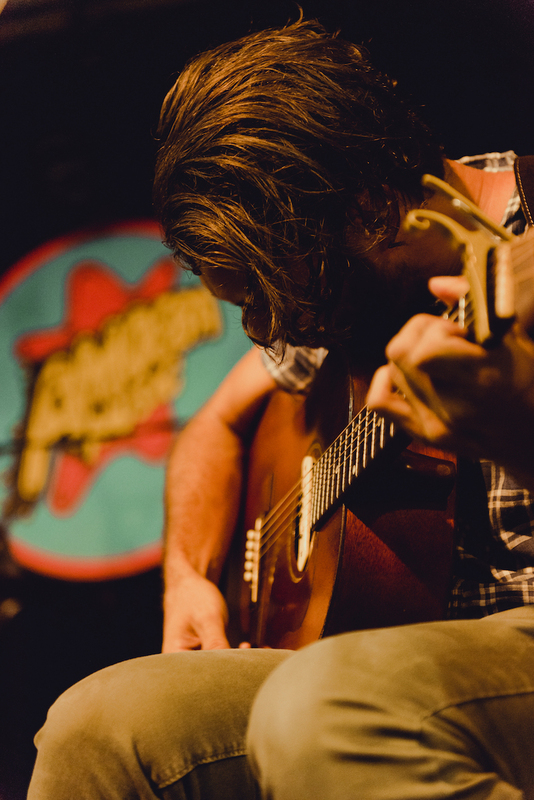 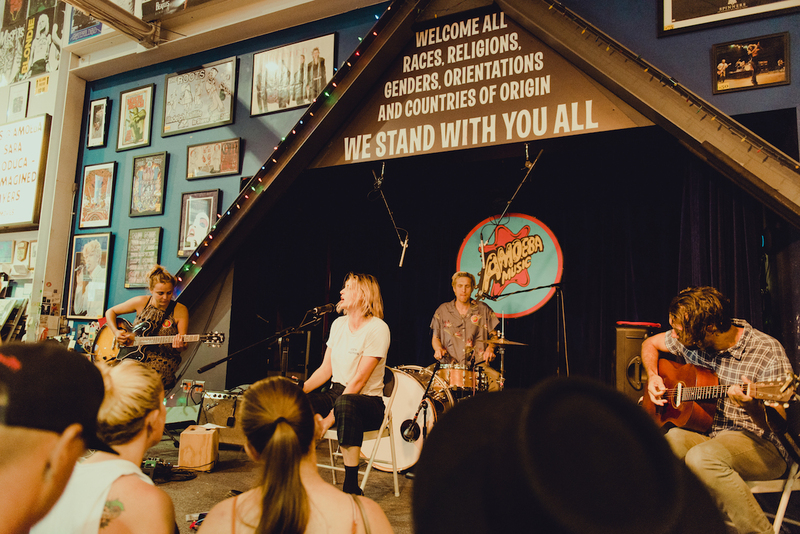 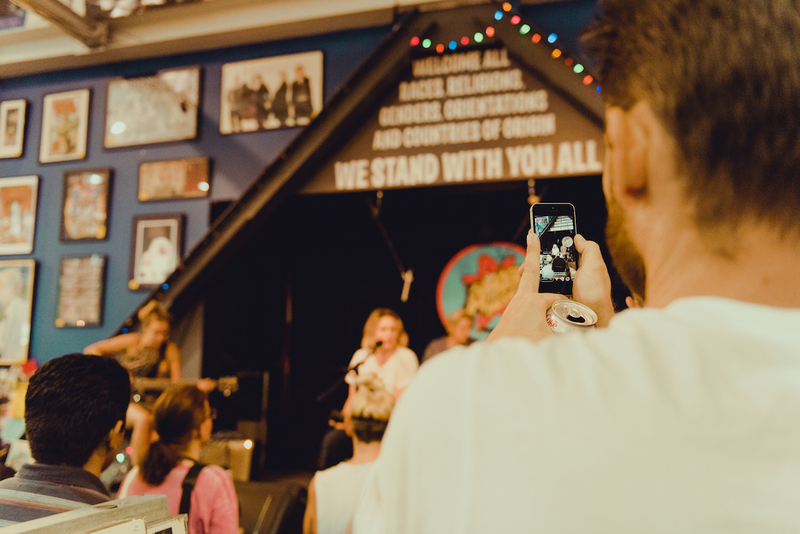 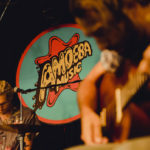 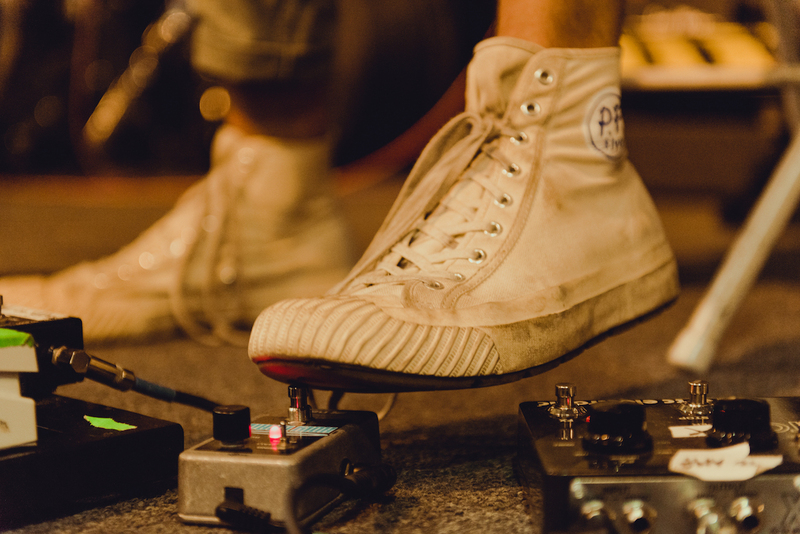 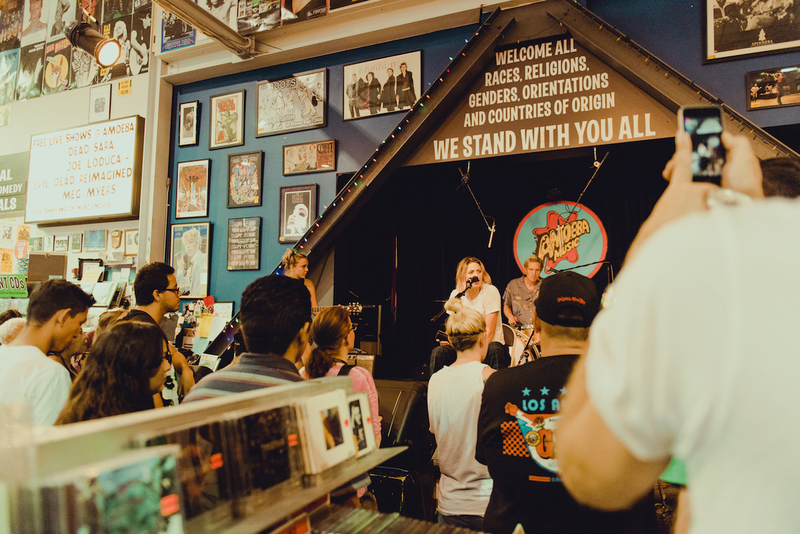 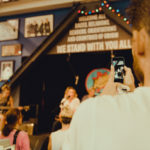 Aside from being a beloved brick and mortar record store that caters to music (and other medium) lovers of all kinds, one of the best features of Amoeba Music is that on any given day you can find live music happening on its tiny stage. 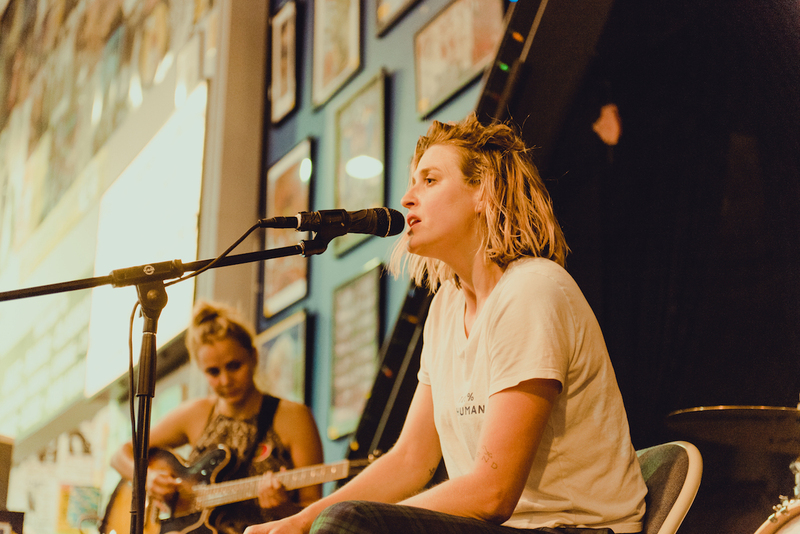 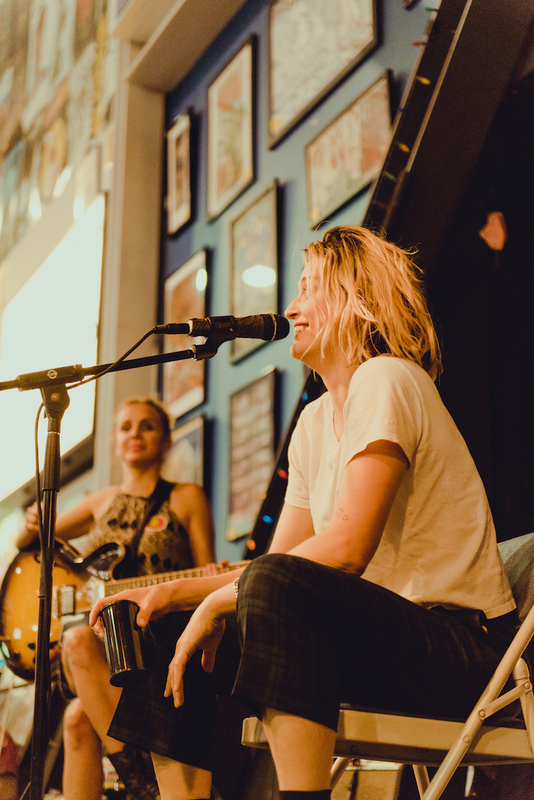 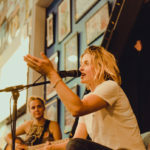 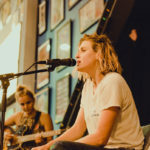 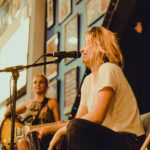 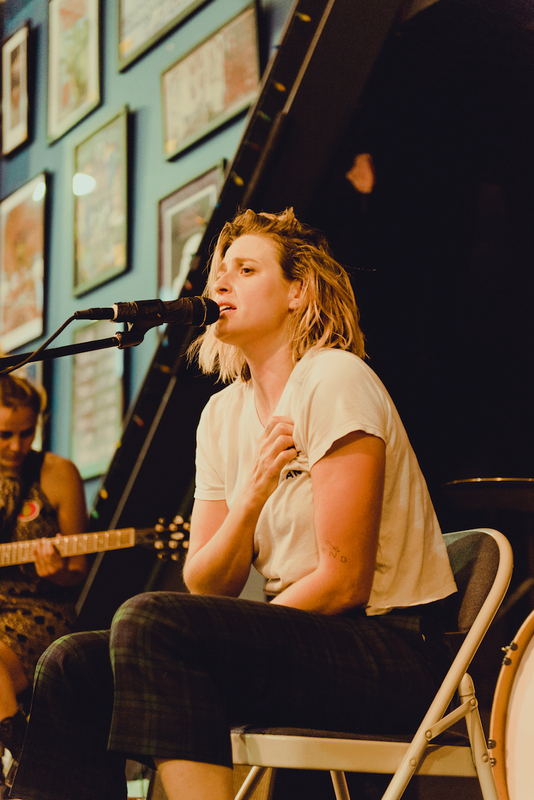 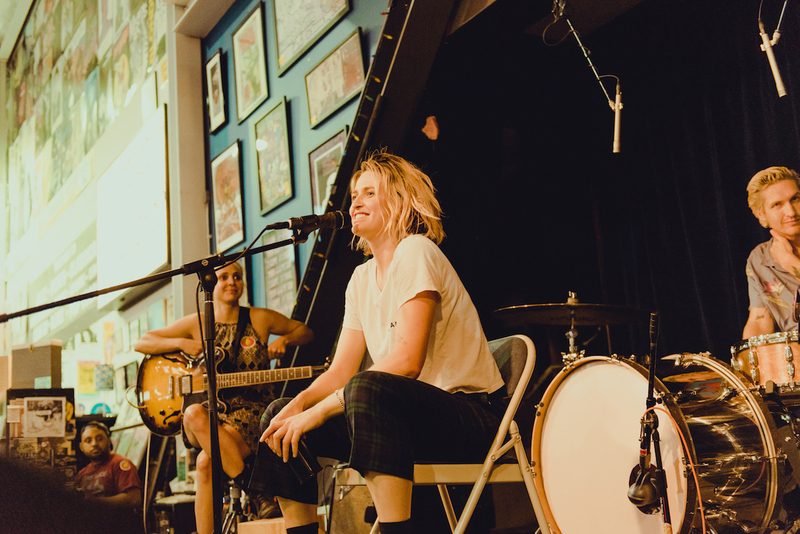 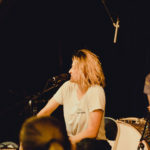 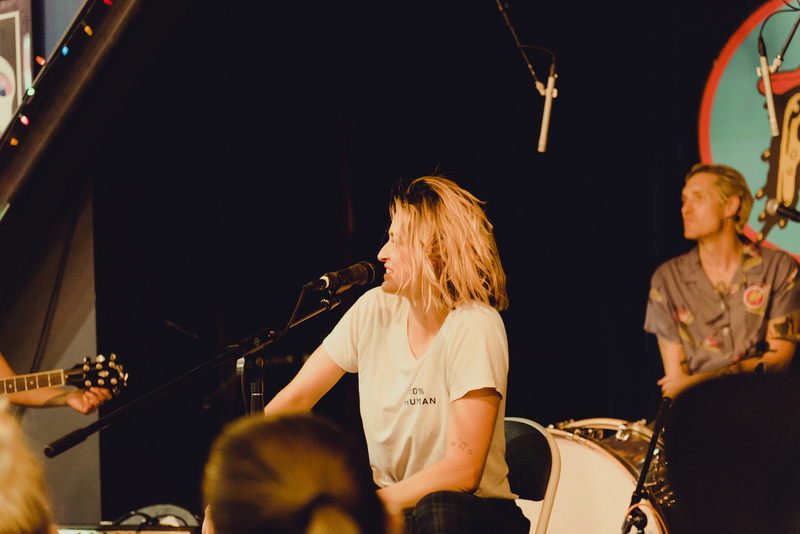 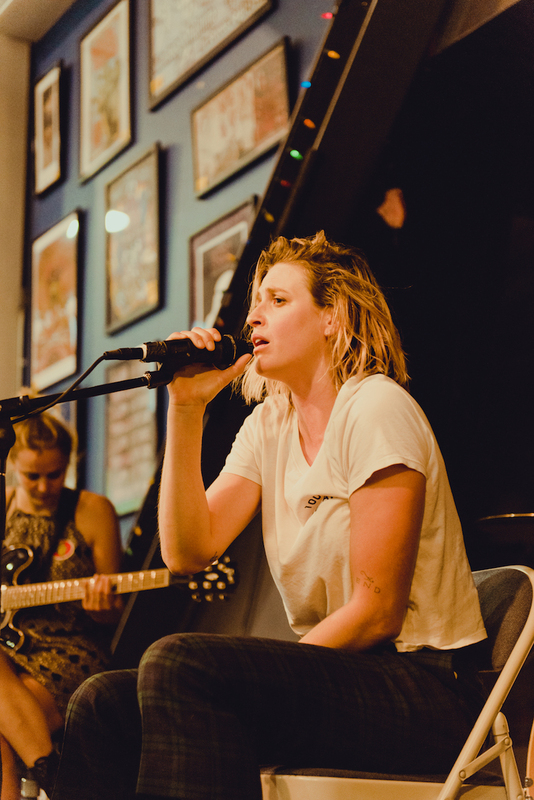 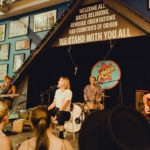 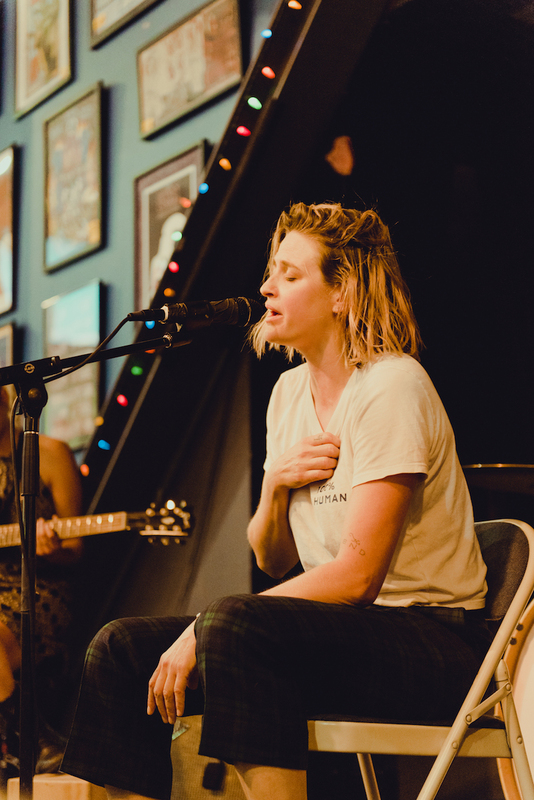 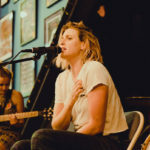 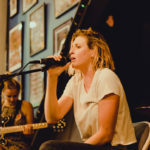 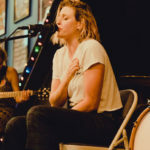 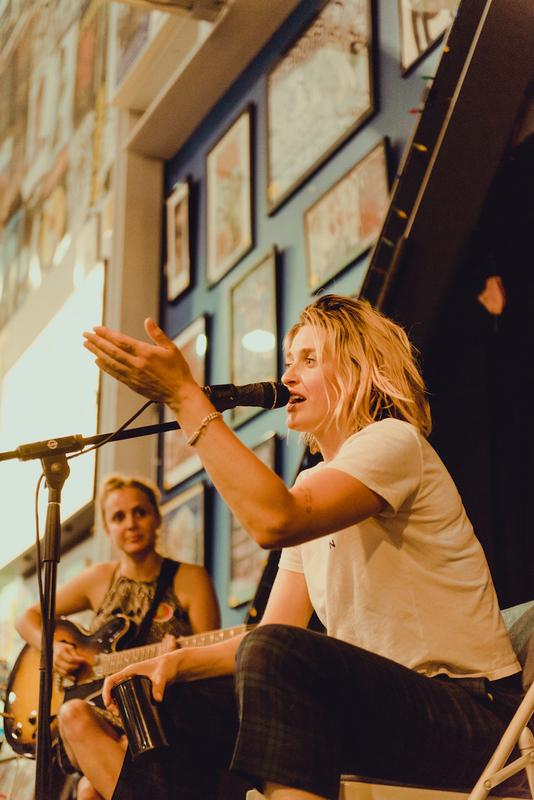 Such was the case as – once again – Dead Sara (Emily Armstrong, Siouxsie Medley, and Sean Friday along with Marc Walloch) took to that tiny stage: this time to play an acoustic set of the songs from their June release, Temporary Things Taking Up Space EP (out via Atlantic Records). 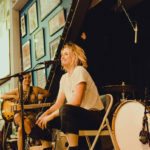 We all know Dead Sara as a band that dishes out primal rock songs fired up with an indie punk spirit and standing on a classic rock foundation. 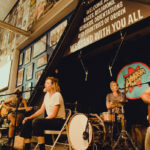 While their live show can be the stuff of mosh pits and slam circles, this Amoeba show was a subtler, stripped-down, and seated affair of daylight and direct eye contact (which weirded Armstrong out just a little) while Amstrong’s powerful pipes stopped unaware shoppers in their tracks as songs like “Unamerican” still packed a punch. 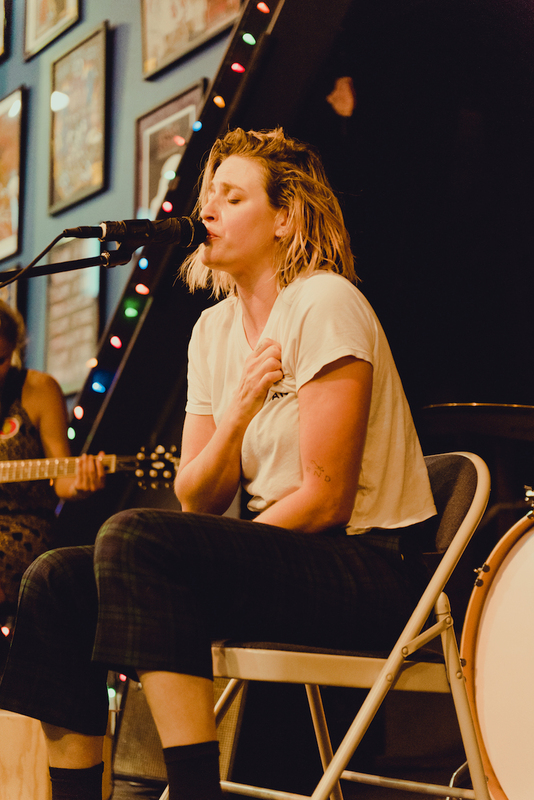 Because even when Dead Sara keep it low key (as with turning the bounce of “Times To Remember” into a gorgeously deep haunt), the rock never fails to shine through. 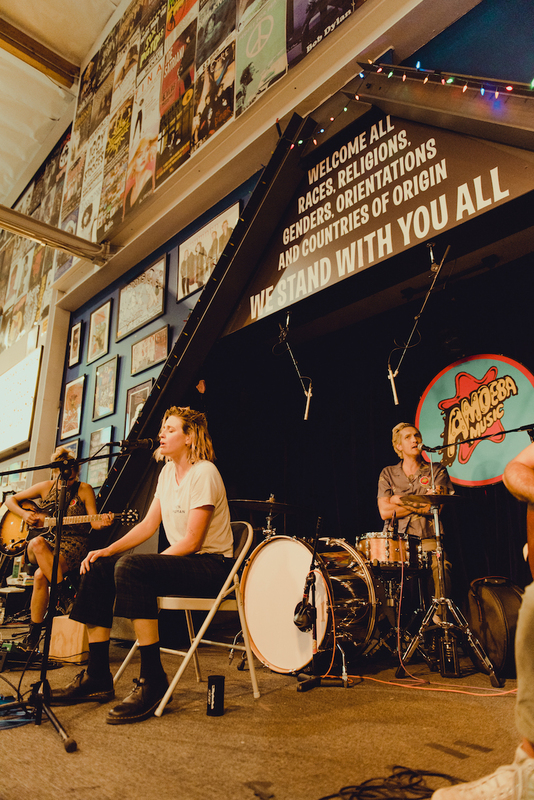 In September Dead Sara hit the road in support of Temporary Things Taking Up Space and if you’re in Los Angeles, your date with this explosive band is on October 20th at Teragram Ballroom and you can grab tickets HERE.